Napanee District Curling Club’s novice league has 16 new curlers either learning to curl or getting some extra coaching thanks to convenor Pam Jordan and a slew of club instructors and helpers. 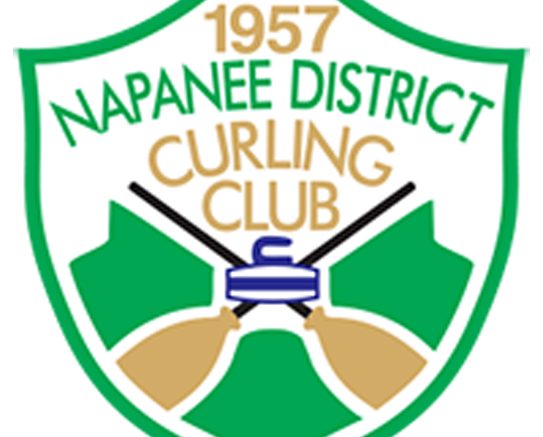 This league is for persons in the community who have never curled in a league before to get the opportunity to participate in the sport of curling or new curlers who just joined the club this season and runs until Mar. 10. There will be lots of lessons, lots of fun and lots of camaraderie. NDCC is again part of the Town of Greater Napanee’s Family Day on Feb. 18 from 9:30 a.m. to noon. All are welcome to drop in for a ‘quick’ lesson on the sport of curling. Just wear loose-fitting clothing and bring some clean, soft-soled shoes to the club and members will help experience this popular Canadian sport. Convenor Ian Munro says this was a blast last year and will be again this year. To find further information on this and other items of interest please check out www.ndcc.ca. The team of Andy and Cathy Palmer, Robert and Jane Hough ventured out to the 24 team annual mixed bonspiel at the Cataraqui Golf and Country Club and came eight overall. This same team has won this event a few times in the past. Things are moving right along at the club and league directors are gearing up for the last draw of the season by circulating a sign up sheet. Anyone interested in curling in a league they are not in now don’t wait too long, contact the league director as soon as possible. Up next is the new TCO Agromart Ltd Farmers and Friends Open Bonspiel this Saturday followed by the popular annual Ladies InClub Funspiel on Feb. 10 which according to Moira Sickling has a full slate of curlers. NDCC’s Highland Lassie Bonspiel on Feb. 23 also has a full slate of 16 teams says director Linda Yorke. The next Progressive Euchre is set for Feb. 24 and the next new mixed doubles is Feb. 17.